Conor McGregor's coach John Kavanagh has claimed his fighter is "trying to move on" after making mistakes. Earlier this week, the former UFC Champion pleaded not guilty to robbery by sudden snatching and criminal mischief. The Irishman was arrested by Miami police after an incident in Florida last month. It comes after a guilty plea to disorderly conduct in New York last year. 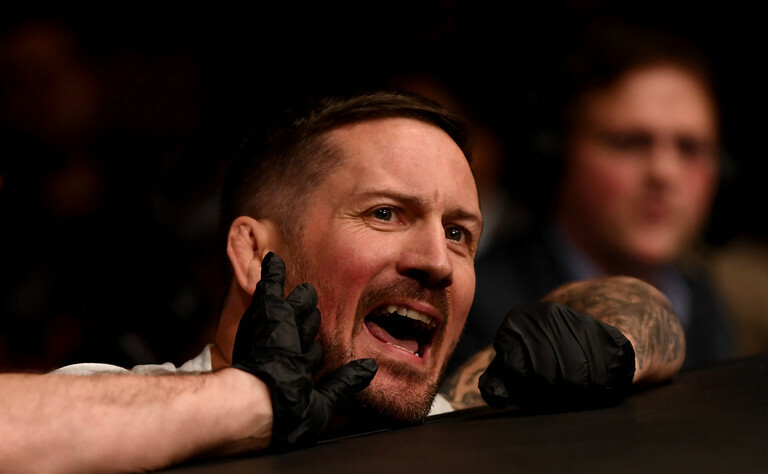 Meanwhile, he has not won a fight since November 2017 and recently announced he is retiring from the sport, before appearing to row back on that declaration. Speaking on the Late Late Show on Friday night, John Kavanagh said McGregor regrets these errors. He has made mistakes that I absolutely don’t condone. I know he regrets them, he’s paying for them, he’s trying to learn from them, he’s trying to move on. "He has made mistakes... I know he regrets them, he's paid for them, he's trying to move on"
"Something that’s very interesting to him, a good challenge, something that will get the crowd going, I’d be very surprised if he doesn’t fight again. It could be as soon as… even the summer. “It’s funny, when he won the second world title, as a coach it’s almost like a nightmare because he achieved everything he set out to do." It remains to be seen if that future bout is in the UFC or elsewhere.